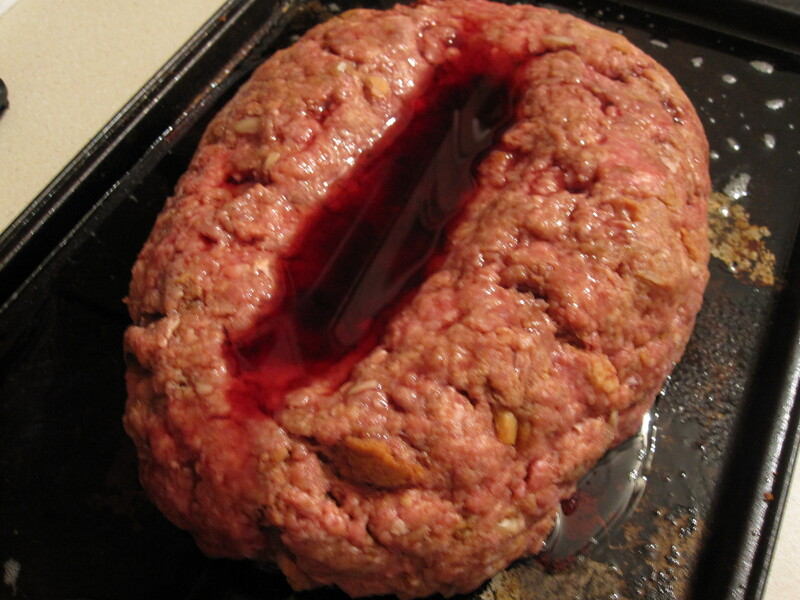 I love meatloaf. There I said it. My love for it started as a child, where most people’s supposed despise of the stuff also began. 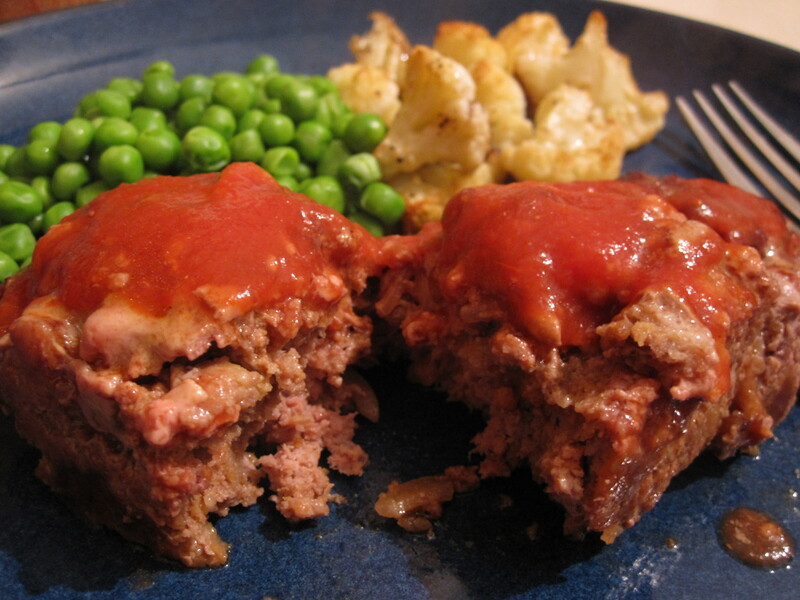 I never quite understood why meatloaf got such a bad rap? I grew up eating several varieties, all of which I absolultely loved. I’ve made my classic version here before and recently my dad stumbled upon my Grandma Janet’s recipe, the one that started it all, and scanned it into his computer and emailed it to me. 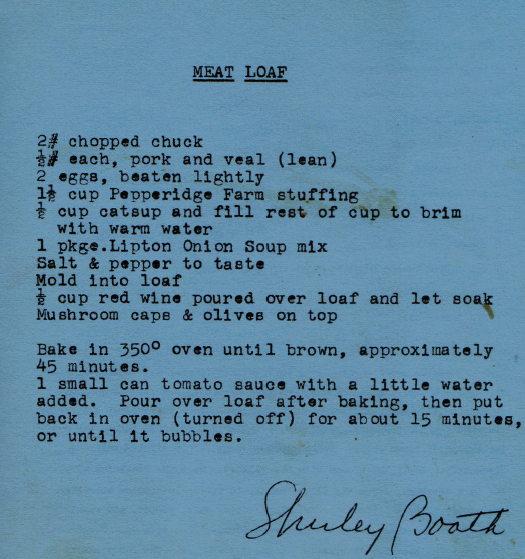 Well, it turns out it’s actually Shirley Booth’s recipe and it came from an old celebrity cookbook! How funny. Even still, it will always be my Grandma’s recipe and for what it’s worth- she did tweak it a bit- no olives or musrhooms on this baby. I love how there are some food stains on the page too. It was a well loved recipe! 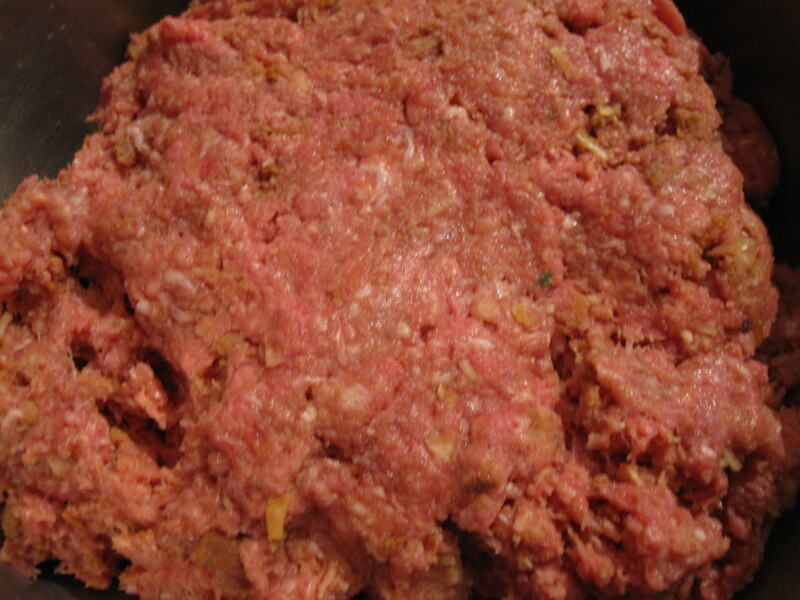 It begins with the meat, which is 2 pounds ground chuck, and 1/2 pound each of pork and veal. Next, add the fillers. 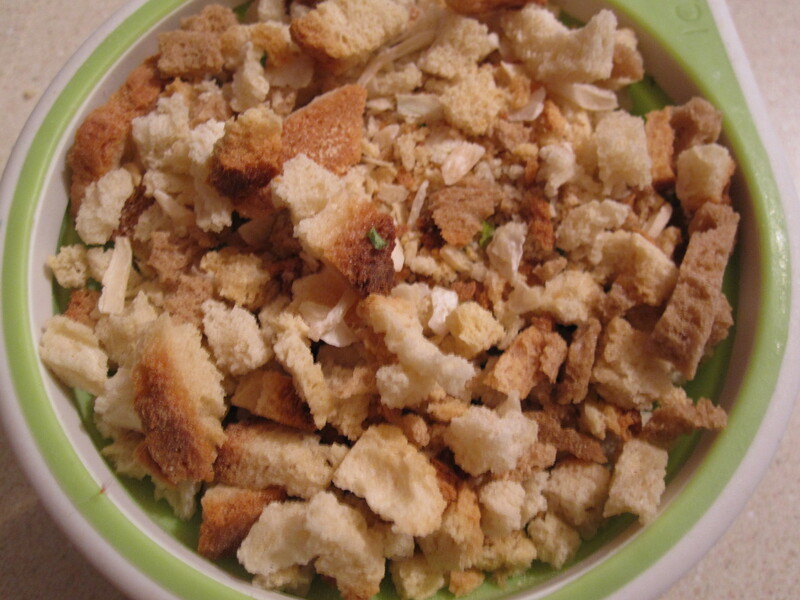 What’s unique to me about this recipe is that instead of bread crumbs you use stuffing mix. and just to clarify, it’s fine to use ketchup for catsup! 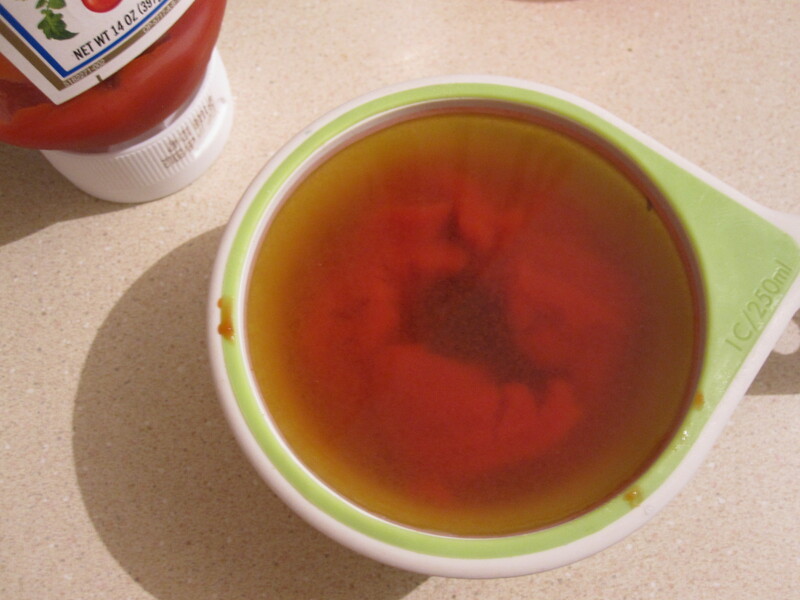 This is 1/2 cup ketchup with 1/2 cup warm water. 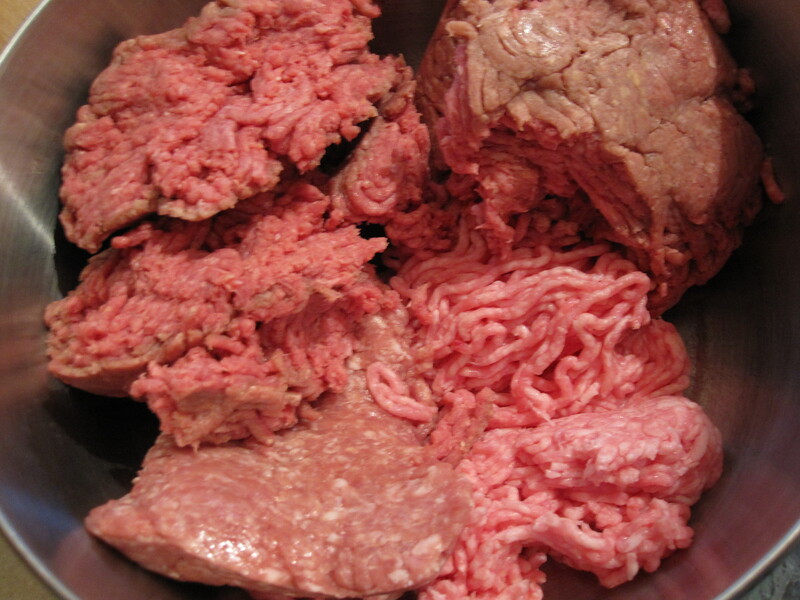 Add both of these to the meat along with onion soup mix, 2 lightly beaten eggs and some salt and pepper. 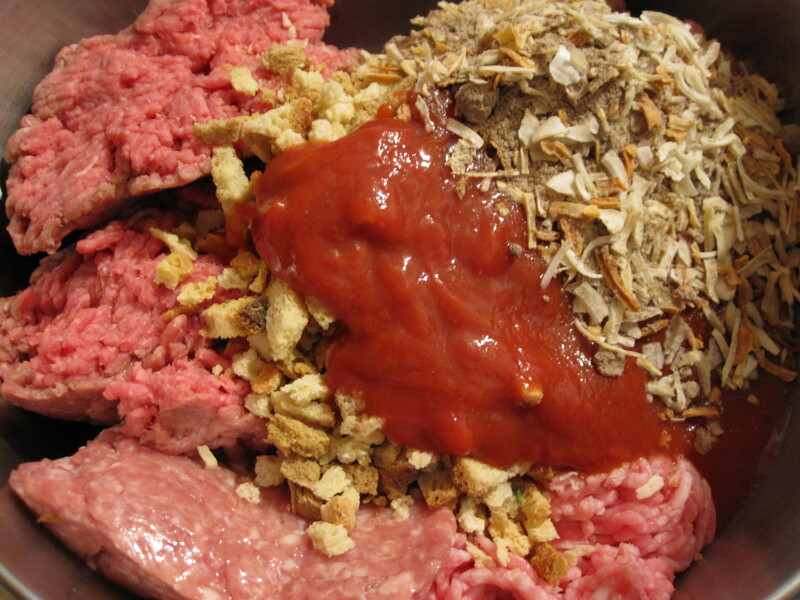 Mixing it with your hands is really the best way to go to make sure all of the stuffing and onion soup mix is evenly distrubted and there are no clumps or pockets of any one ingredient. 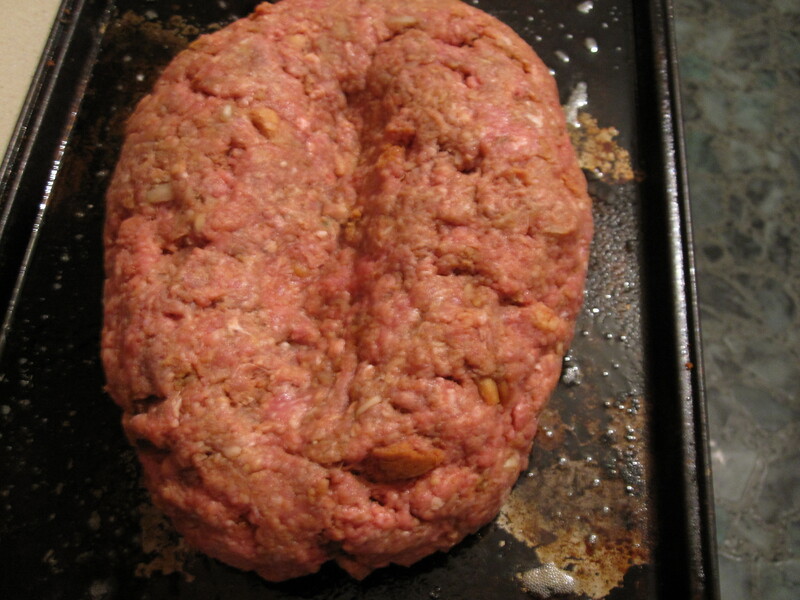 Once you have it mixed, form into a loaf shape and place it on a baking sheet. You want to create a divet on the top so that the wine has a place to land. Let this sit for about 30 minutes to soak up. Then bake at 350 degrees for 45 minutes. It will look like this. The last step is to put on the delcious tomato topping. 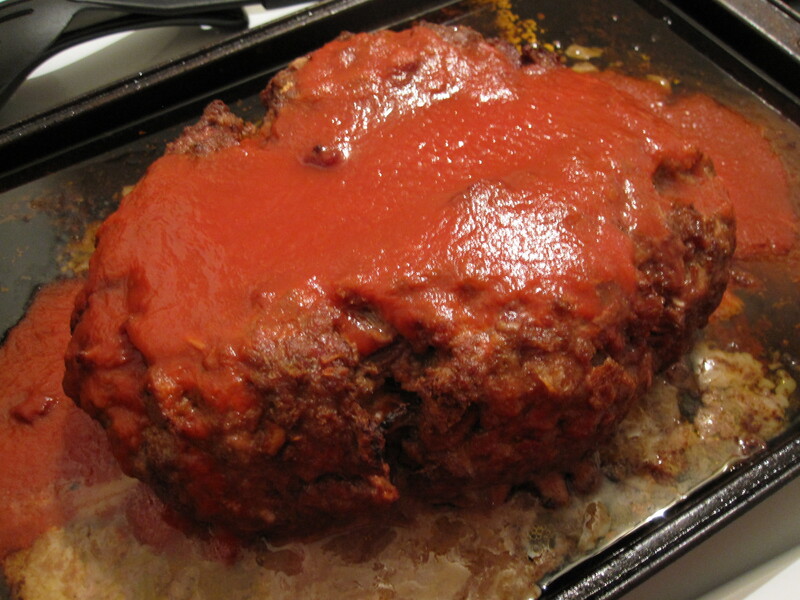 Using tomato sauce and a little water, create a sauce and pour over the top of the loaf. Turn off the oven and put the loaf back in for another 15 minutes or so until the toppping is bubbling. 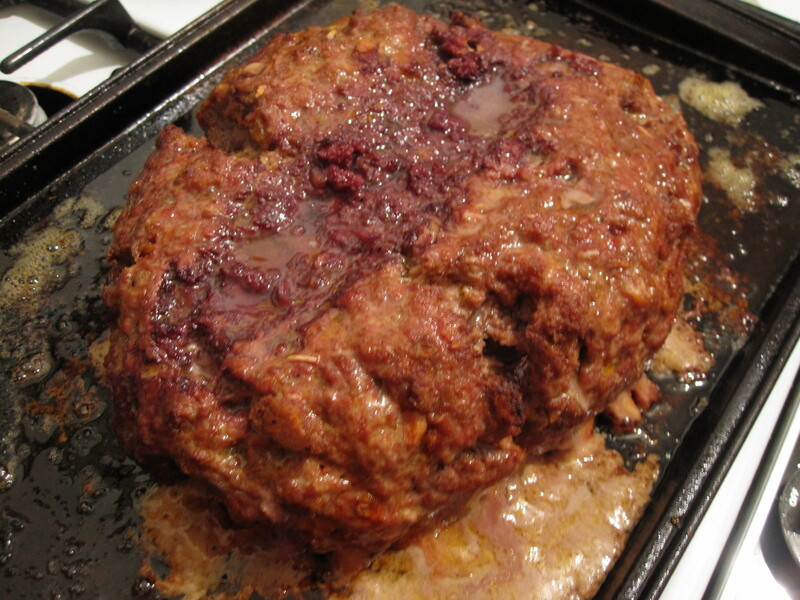 Remove from the oven and let it stand for 5-10 minutes (or as long as you can stand it) before slicing and serving. 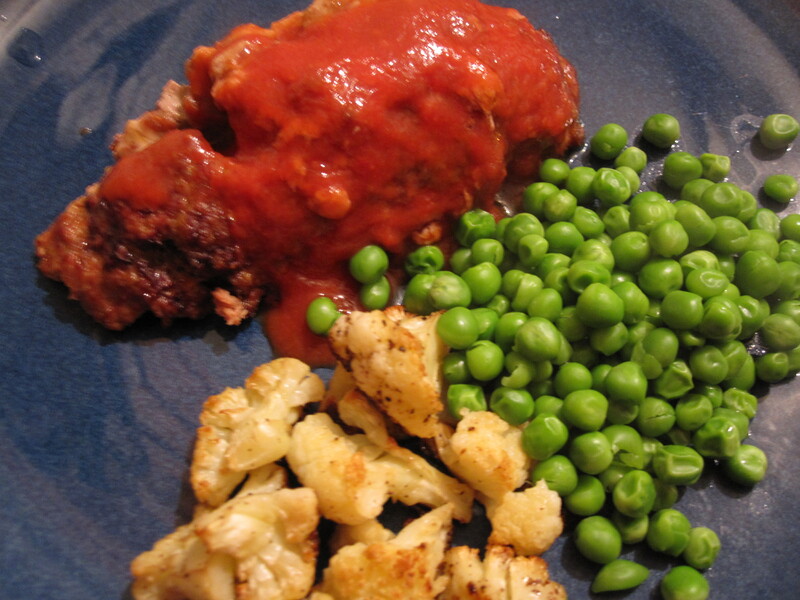 This entry was posted in Beef, Pork and tagged Beef, ground chuck, meatloaf recipe, onion soup mix, pork, red wine, shirley booth, stuffing, tomato sauce, veal. Bookmark the permalink.